The non-profit charity, the National Vaccine Information Center (NVIC was a co-sponsor of the Truth, Transparency and Freedom rally held in Atlanta, Georgia on Oct. 24, 2015, an event coordinated by the Vaccine Injury Awareness League led by Michelle Ford. We sent a team of NVIC staff and volunteers to Atlanta to stand in solidarity at the protest march in front of the CDC on Oct. 23 and at the rally the next day with mothers and fathers from many different states, who hold diverse cultural, political and religious beliefs but are united in a shared, unwavering commitment to save our children. I was deeply moved by what I witnessed and experienced in Atlanta as I listened to fellow Americans from other minority communities, who, just like parents of vaccine injured children, have been marginalized and demonized by those in positions of power seeking to stigmatize, segregate and divide us. If we misunderstand and fear each other for our differences, we cannot come together as one people to defend what unites us, which is our determination to protect our health and freedom and the future of our nation. Following is the 20-minute speech I gave at the rally in Grant Park in Atlanta on Oct. 24, 2015. Those tiny miracles. God's most precious gift to us. We hold them in wonder just moments after they are born. We love them in a way we never loved anyone, and they love us in a way that no one else ever will. May God bless each one of you who made the pilgrimage to Atlanta, Georgia on this day, Oct. 24, 2015, to be at this Truth, Transparency and Freedom Rally. We stand united in our commitment to protect this and future generations from exploitation by the pharmaceutical, chemical and medical trade industries that have polluted our earth and created the sickest and most disabled child and young adult populations in our nation's history. I say this as a mother who witnessed her healthy, bright two and a half year old first born child suffer a convulsion, collapse shock and brain inflammation within hours of his fourth DPT shot in 1980 that left him with multiple learning disabilities and a 12-year sentence confined to a special education classroom in the public school system. My son did not die and he was not severely brain damaged like so many children for whom the risks of vaccination turn out to be 100 percent. Government health officials claim – but have failed to scientifically prove - that our children's health is not affected by repeatedly hyperstimulating inflammatory responses with vaccines; or feeding them GMO and processed foods laced with pesticides, hormones and antibiotics; 24 or giving them water contaminated with fluoride; 25 or allowing dentists to put mercury fillings in their mouths; 26 or giving them amphetamines, anti-depressants and other kinds of prescription drugs 27 with side effects that include suicidal thoughts and violent behavior. The real public health emergency in America is the one that is being covered up by government and industry working overtime with the mainstream media to distract, deceive, stonewall and restrict the freedom of Americans to take control of their health. Instead of doing everything they can to find out why so many children are so sick and disabled, industry and government are working together to eliminate our legal to make voluntary vaccine choices and eat organic 33 and choose chiropractic, acupuncture, homeopathy, naturopathy, herbs, vitamins, natural supplements and other non-pharmaceutical options for healing and staying well. Over the past quarter century, Congress has given permission for government to forge a public-private business partnership with the pharmaceutical and chemical industries. The U.S. and global vaccine market alone is a $30 billion dollar business but in 10 years, Big Pharma will enjoy a $100 billion dollar vaccine business. 34 The most influential and wealthy lobby on Capitol Hill has spent billions of dollars to co-opt federal research, regulatory and policymaking agencies and academic institutions in this country. 35 This influence peddling guarantees that junk science favoring industry profit-making is the only kind of science that informs public health policy. And tomorrow? Well, if Americans do not get up off their knees and stop worshipping doctors promoting junk science, it is not possible but probable, that tomorrow you will not be able to get on a bus, train or plane; enter a store or sports arena; obtain a driver's license, file your taxes or function in society unless you can prove you have gotten every vaccine that industry creates and doctors implementing government policy order you to get. In 2011, when the U.S. Supreme Court declared that vaccines are “unavoidably unsafe” and effectively handed the pharmaceutical industry a total product liability shield from vaccine injury lawsuits - even when there is evidence that a drug company could have made a vaccine safer – the compensation program became the exclusive legal remedy for vaccine injured Americans.51 And with that free pass, government and industry immediately moved into state legislatures to eliminate personal belief vaccine exemptions as well as federal compensation for vaccine injured children. Although three billion dollars has been awarded to about 4,000 vaccine victims, 52 there is $3 billion dollars still sitting in the Trust Fund because government fights almost every single claim, and two out of three vaccine injured persons are turned away empty handed. The majority of awards are paid to adults injured by flu vaccine and not to children who suffer brain inflammation and are disabled for the rest of their lives after receiving one or more of the 16 government recommended and state mandated vaccines. The Secretary of Health and Justice Department lawyers drag out the compensation claims process for years 53 and have gutted the rules for compensation so that few children qualify, turning the program into a cruel imitation of a court trial with no jury. Doctors giving vaccines refuse to obey the vaccine safety provisions because there is no enforcement. Congress has failed to provide oversight on the 1986 law, allowing government agencies to deliberately destroy the National Childhood Vaccine Injury Act and turn it into a drug company stockholder's dream and a parent's worst nightmare. The 1986 law is a failed experiment in tort reform 54 and it should be repealed. Truth, transparency, accountability and freedom protect against tyranny and there is no greater calling for Americans in the 21st century than to take action to restore those cultural values in government and our nation's institutions. 8 CDC. Recommended Immunization Schedule for Persons Aged 0 Through 18 Years – United States, 2015 . 12 National Institute of Mental Health. Major Depression Among Adolescents (U.S.) . 2013.
aged U.S. Children: 2007 to 2011-2013. Results . National Health Statistics Reports 2013; 65: 1-11. 15 Centers for Medicare & Medicaid Services. National Health Expenditure Data, 2011 Highlights. Businesswire. The Global Vaccine Market Is Expected to Surpass Estimated $100 Billion by 2025 . Global Vaccine Market Pipeline Analysis June 27, 2014. 18 Zimm A. Chronic Illnesses on rise, study says: Children's cases in U.S. quadruple . Bloomberg News June 27, 2007. 24 Cummins R.Food Fight 2015: Taking Down the Degenerators. Organic Consumers Association Sept. 3, 2015. 27 Kant G. Radical Increase in Kid's Prescribed Ritalin. WND Apr. 1, 2013. 28 Fisher BL. Parents Deserve to Know More Than School Vaccination Rates . NVIC Newsletter Sept. 8, 2015. 33 Organic Consumers Association. Statement from Ronnie Cummins, OCA, on Reintroduction of Federal Bill to Kill States' Rights to GMO Labeling . Mar. 24, 2015. 34 Businesswire. The Global Vaccine Market Is Expected to Surpass Estimated $100 Billion by 2025 . Global Vaccine Market Pipeline Analysis June 27, 2014. 36 Fisher BL. Public Perspective on Conducting Studies Evaluating Health Outcomes Among Vaccinated and Unvaccinated Children . Institute of Medicine Meeting of Committee to Assess Studies of Health Outcomes Related to the Recommended Childhood Immunization Schedule. Feb. 9. 2012. 37 Businesswire. National Vaccine Information Center Supports Three of Five Recommendations of New IOM Report on U.S. Childhood Immunization Safety and Calls for Transparency . NVIC Press Release Jan. 16, 2013. 38 Wendelboe AM, Annelies VR et al. Duration of Immunity Against Pertussis After Natural Infection or Vaccination. Pediatr Infect Dis J 2005; 24(5): S58-S61. 39 Fisher BL. The Emerging Risks of Live Virus and Virus Vectored Vaccines: Vaccine Strain Infection, Shedding and Transmission . NVIC.org March 2014. 40 National Vaccine Information Center. Merck's Gardasil Vaccine Not Proven Safe for Little Girls: National Vaccine Information Center Criticizes FDA for Fast Tracking Licensure. NVIC Press Release June 27, 2006. 41 Wrangham T. Adults Targeted as Federal Government Prepares to Track the Unvaccinated. NVIC Newsletter Mar. 18, 2015. 42 Businesswire. National Vaccine Information Center Questions FDA Fast Tracking of Squalene Adjuvanted Vaccine . NVIC Sept. 16, 2015. 43 Fisher BL Here Comes the 21st Century Cures Act: Say Goodbye to Vaccine Safety Science . NVIC Newsletter July 21, 2015. 44 Fisher BL. Blackmail and the Medical Vaccine Exemption . NVIC Newsletter May 18, 2015. 46 NVIC.org. Cry for Vaccine Freedom Wall. 47 Fisher BL. Vaccination During Pregnancy: Is It Safe? NVIC Newsletter Nov. 9, 2013. 48 Fisher BL. The Moral Right to Conscientious, Philosophical and Personal Belief Exemption to Vaccination. Presentation to National Vaccine Advisory Committee May 2, 1997. 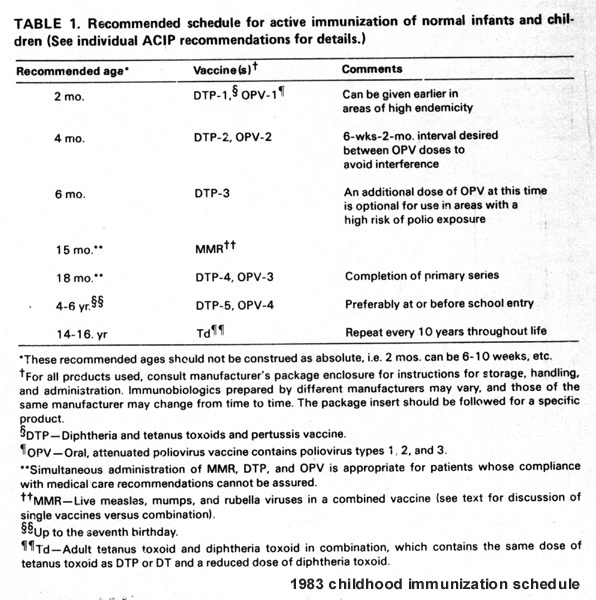 49 1986 National Childhood Vaccine Injury Act. 50 Holland MS, Krakow RJ. Brief of Amici Curiae National Vaccine Information Center, Its Co-Founders and 24 other organizations in support of petitioners. In: Bruesewitz v. Wyeth filed with Supreme Court of the United States June 1, 2010. 51 NVIC. NVIC Cites “Betrayal” of Consumers by U.S. Supreme Court Giving Total Liability Shield to Big Pharma. NVIC Press Release Feb. 23, 2011. 52 HRSA. Vaccine Injury Compensation Program Data & Statistics. Oct. 1, 2015. 53 U.S. Government Accounting Office. Vaccine Injury Compensation: Most Claims Took Multiple Years and Many Were Settled Through Negotiation . Nov. 21, 2014. 54 Fisher BL. The Vaccine Injury Compensation Program: A Failed Experiment in Tort Reform? Presented to Advisory Commission on Childhood Vaccines Nov. 18, 2008. Thank you Barbara for this tour de force speech that so accurately sums up all of the very serious threats to our health freedoms and well-being imposed by our own government in its corrupt and propaganda-based collusion with the Pharmaceutical, Chemical and Medical Trade industries. Vaccines may be the most dangerous threat to us and our children, but as you point out, this threat is part of a growing government pattern of suppressing our rights to choose non-toxic food, water and healthcare for ourselves and our children. Instead we are forcibly subjected to take in poisons in our food, water and medicines purposely placed there by this government/Big Pharma/Big Chemical/Big Medical axis. What you are describing is no less than a Fascist state suppressing the rights of it's citizens and even worse, systematically poisoning its people. Almost all of this has occurred in a misguided attempt by government officials to improve "the greater good", but in fact it has been driven by ignorance, propaganda, massive falsification and suppression of scientific studies and findings, and a lack of legitimate scientific support for every single one of these policies. In the United States of America, our Constitution is supposed to protect us from such abuses and it is truly amazing these corrupt and truly evil forces have been able to erode our rights to this extent. Another great clip of Barbara! Thank you so much Barbara for this impassioned speech. And thank you for providing the text and the references - that must have been hours of work itself! That we all can use in spreading the word about vaccine safety. We will also educate others and work for the right of all to have exemptions from vaccine mandates. thank you for your tenacity and endurance. Very informative 2 days. So happy I attended. We must band together now to rescue and protect our children. If we don't there'll be no future. I feel like I'm living in that move "They Live". Thank you Barbara Loe Fisher!! Your speech puts a lump in my throat and passion in my heart. We can not let them win. Incredible work. When is the next national conference??? Barbara you are amazing! EDITORS REMARK: Hello Joanne and all those who visit this page. We appreciated your question and wanted you to be the first to learn NVIC will host the 5th International Public Conference on Vaccination in 2017! Stay tuned for further details. Your health. Your family. Your choice! Barbara - and all you folks who are getting more of the truth about the medical and pharmaceutical cartels out there. Thank you Barbara for your continued work and message of truth and hope. As a side note, I've just launched my project, 50 Cents a dose on vimeo on demand. Thanks for your participation and help in that project.